The US Patent and Trademark Office has published today a 372-page document detailing every known and unknown aspect of the iPhone. 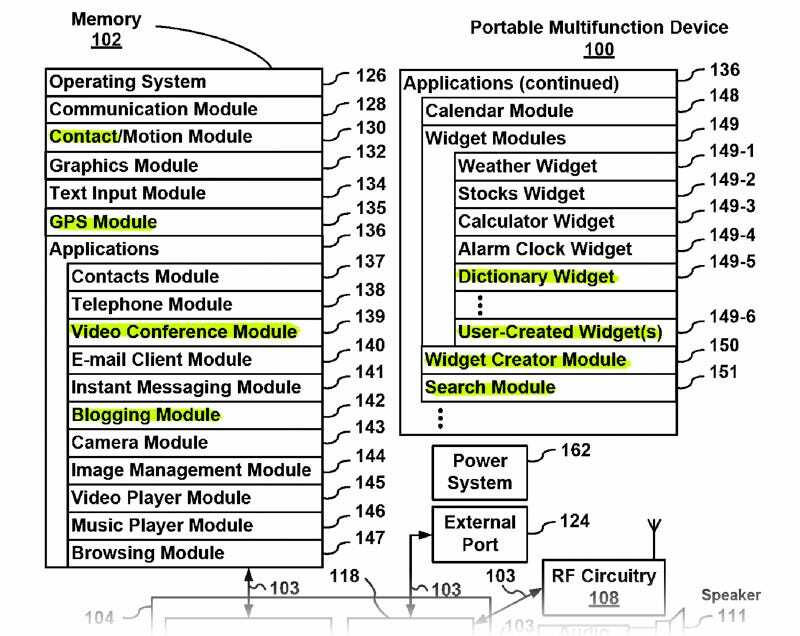 As you can imagine, the most interesting bits of patent 20080122796 are the features never detailed before—like video conference, GPS, widget creator, multimedia messaging, and video recording. Apple secrecy often pushes USPTO patent publication to just mere days before the release of the actual product, to avoid the disclosure of new products or features. Could this mean that we will see some—if not all—of these new listed features in the upcoming iPhone 2.0? We don't know for sure, but here's the complete list for you to judge.